Credits to TUCP for the photo. This job fair is organized by ABS-CBN and Philippine Star to happen on October 26 to 27 in SM Mega Mall Mega Trade Hall 2 in Pasig City, Metro Manila. 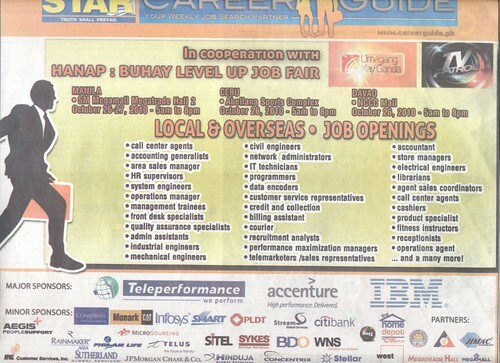 There are also simultaneous job fair in Cebu City and Davao, but only one day in October 26.